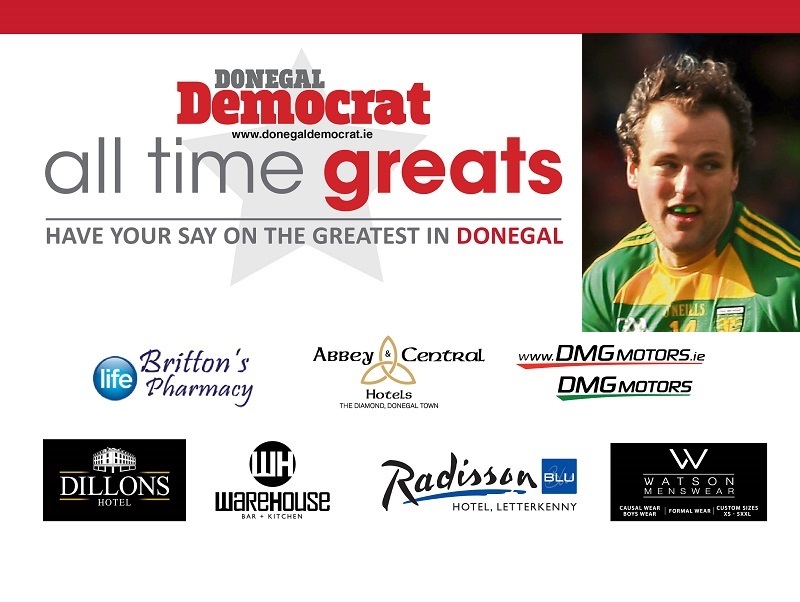 The search for Donegal's All Time Great has generated much debate, discussion, lots of emails and one or two heated discussions. 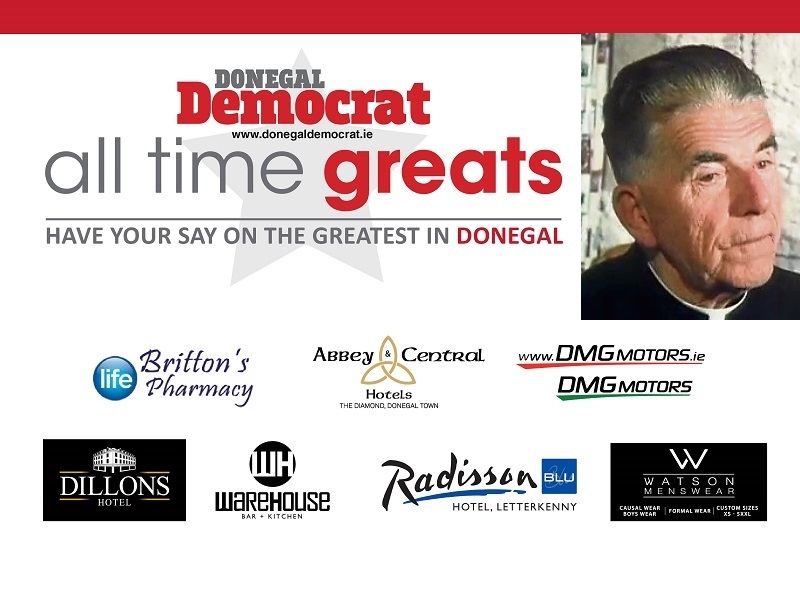 Thank you to all who responded to our appeal for suggestions - the large volume of nominations is testament to the many, many great people in Donegal. 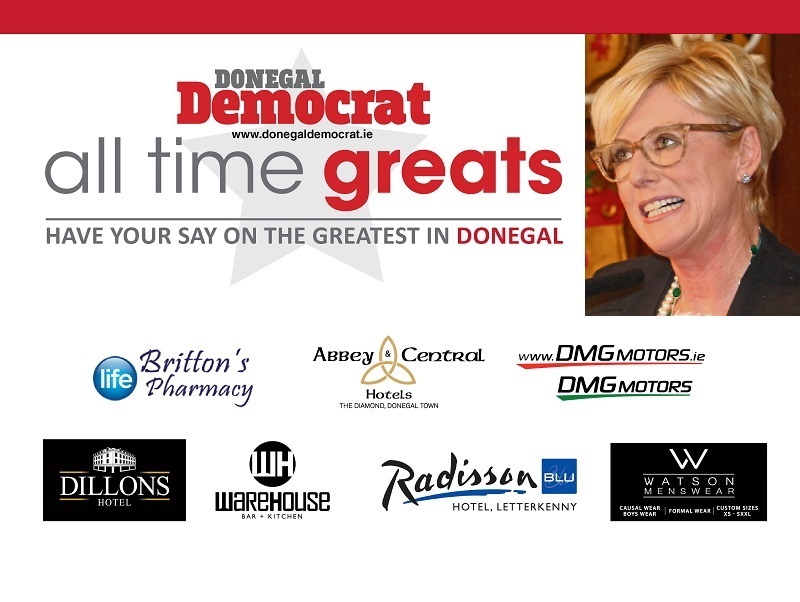 And now, after a few interesting days spent going through the names put forward, we have selected our final 16 nominations. 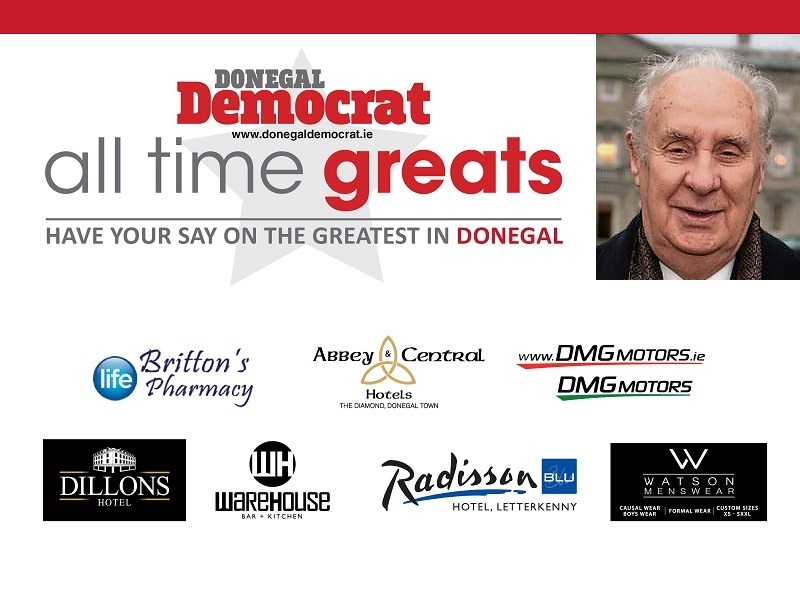 These worthy nominees are literally knitted into the fabric of Donegal and are part of what makes this county the place it is. 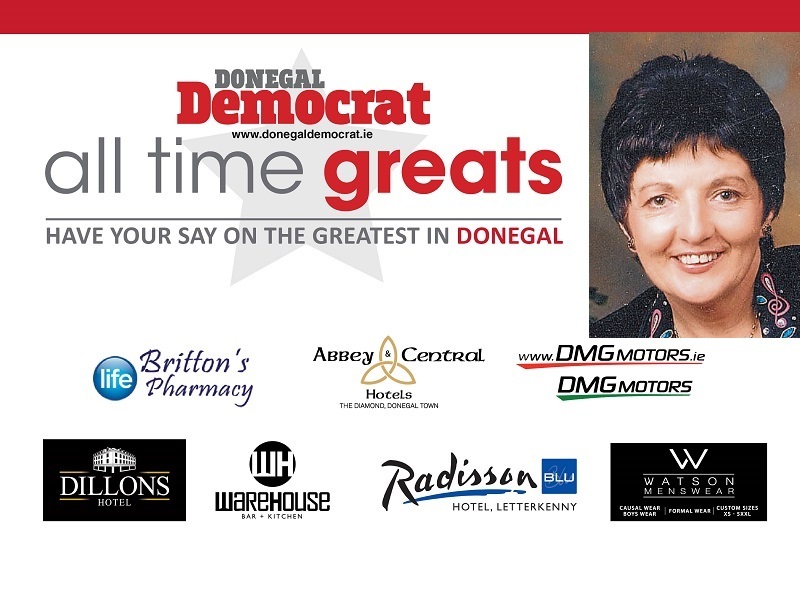 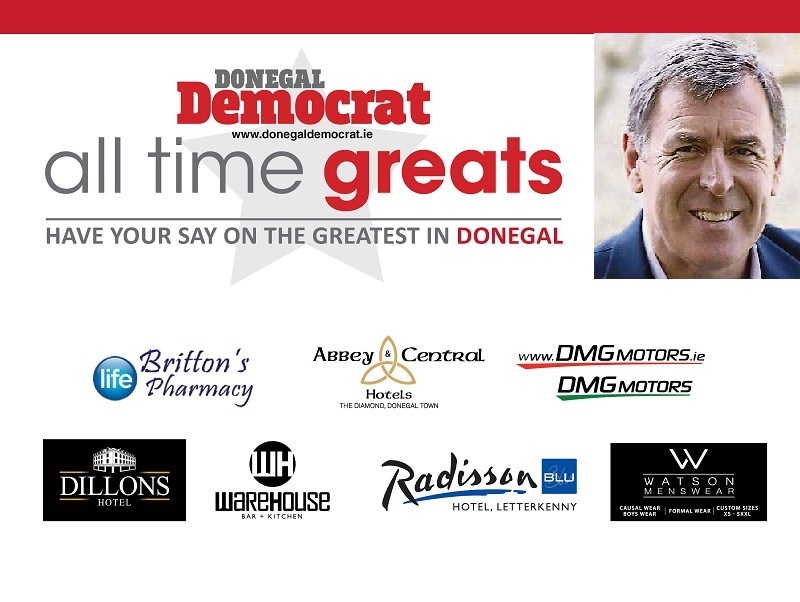 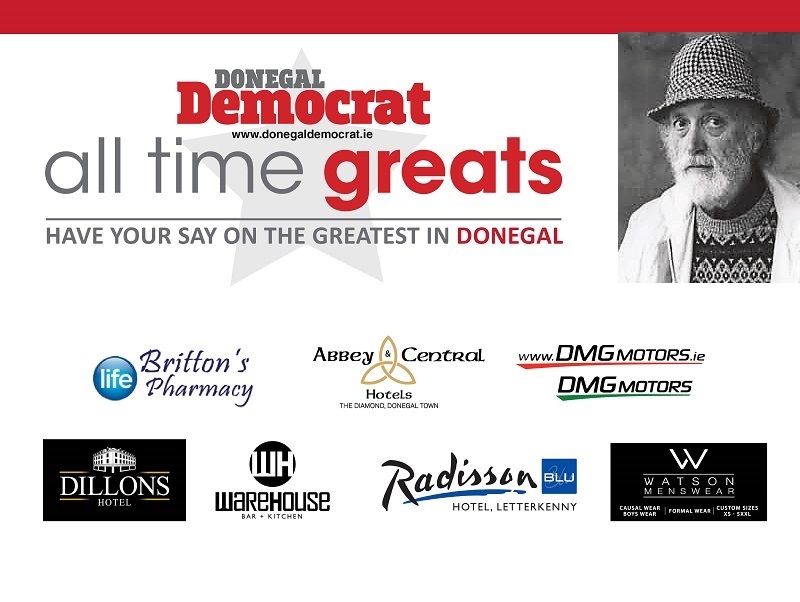 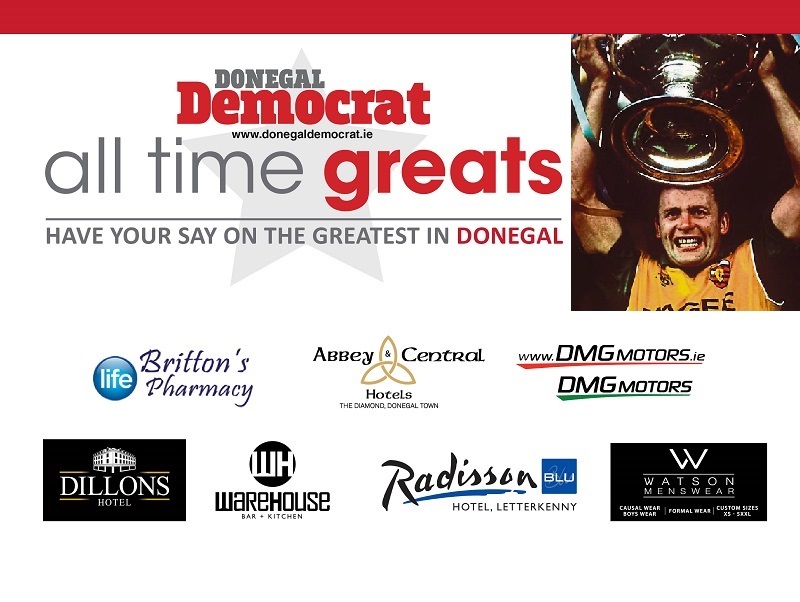 Now it’s back to you, our readers, to see who you think should progress to the next level in the search for Donegal’s All Time Great. We will launch a series of polls, pitting our nominees head-to-head to make it to the quarter-final, the semi-final and eventually, the final in the coming weeks. 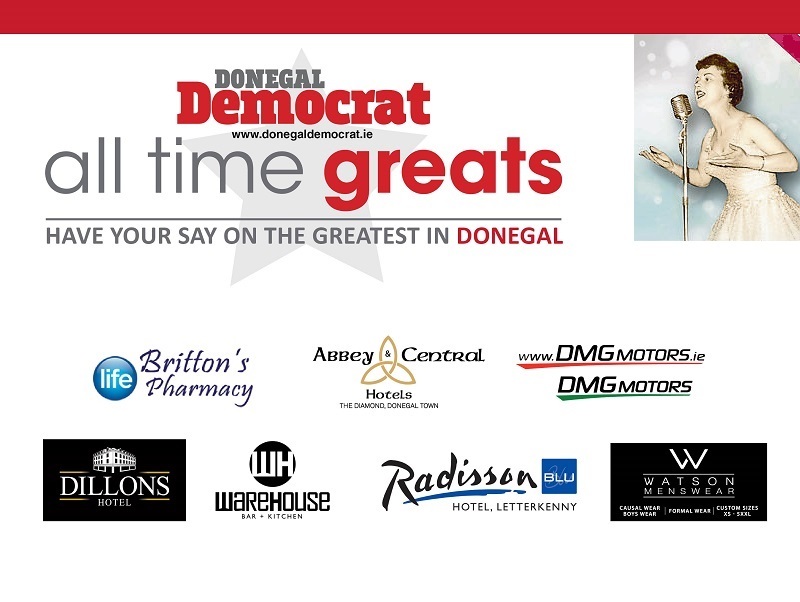 The first draw to see who will go head-to-head will take place later this week, the results of which will be posted in video online. 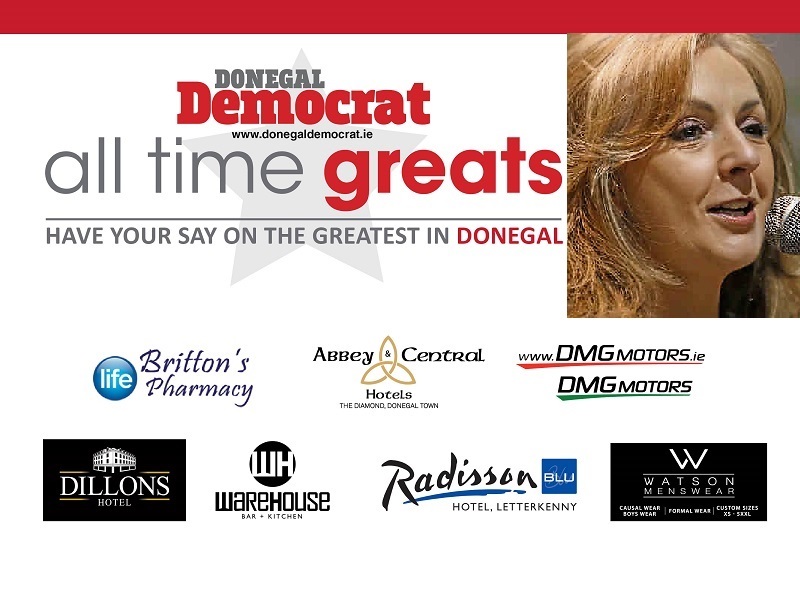 Could we have Daniel Vs Margo on the first week? 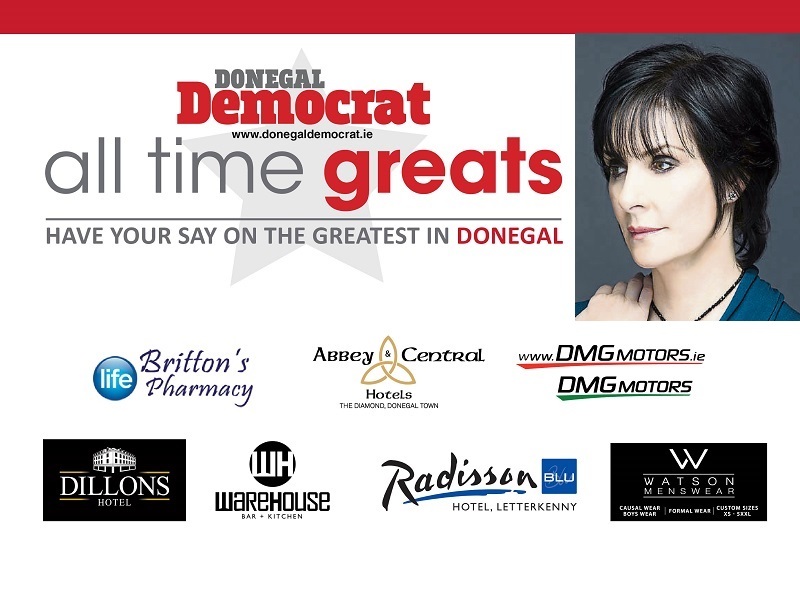 Or Enya Vs Michael Murphy? There are some interesting battles ahead! 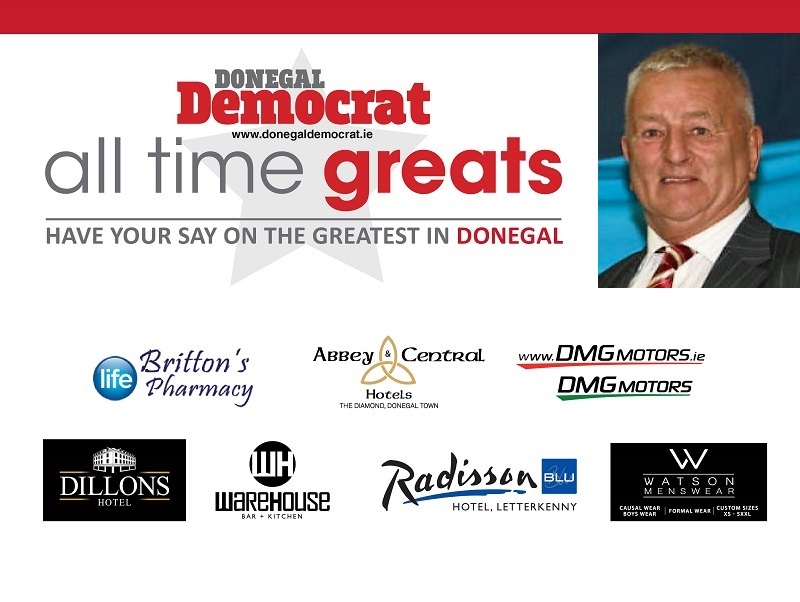 A huge thank you to our sponsors, Britton's Pharmacy, Abbey Central Hotels, DMG Motors, Dillons Hotel, Warehouse (Letterkenny), the Radisson Hotel, Letterkenny and Watson's Menswear, Letterkenny.